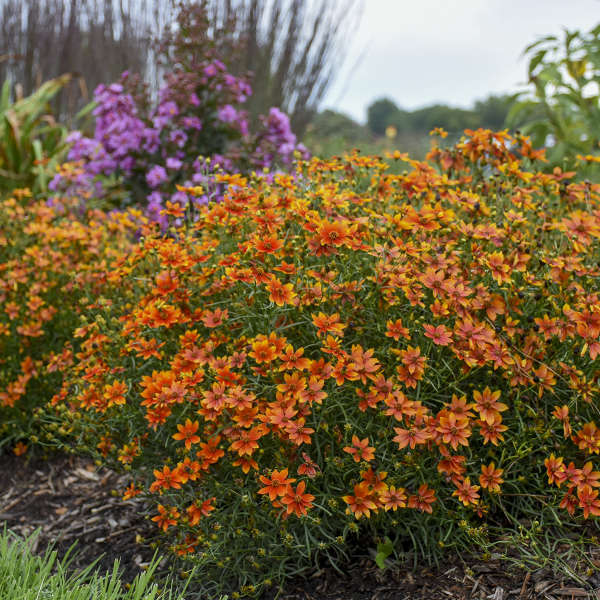 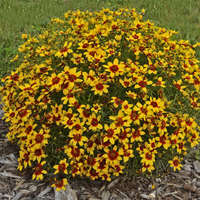 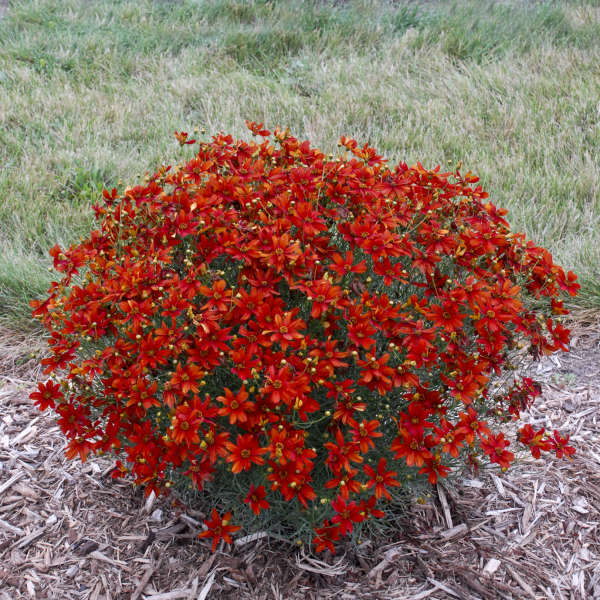 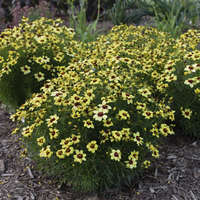 Coreopsis verticillata 'Crazy Cayenne' | Walters Gardens, Inc.
Go crazy for this vibrant orange Coreopsis that has a perfectly domed, rounded, uniform habit. 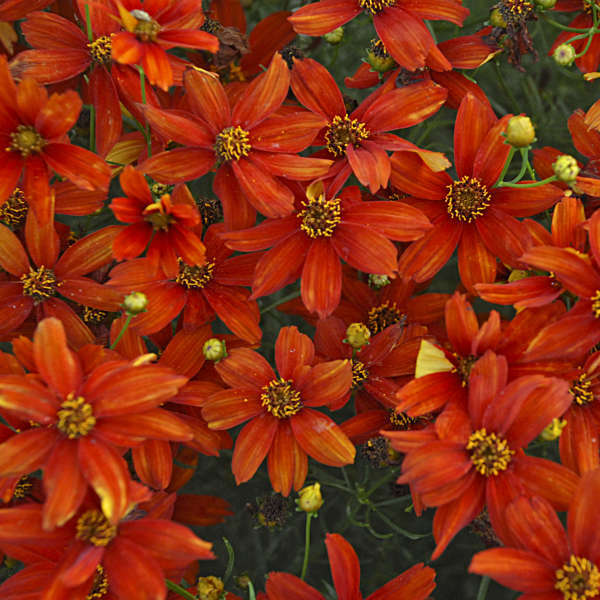 1¾” wide, fiery sunset orange flowers have intense red-orange color concentrated at the centers of the petals. 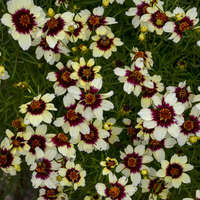 The undersides of its petals are golden yellow, with some petal tips displaying the same golden yellow. 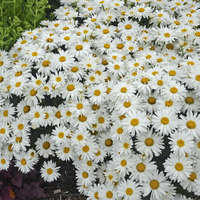 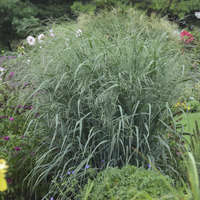 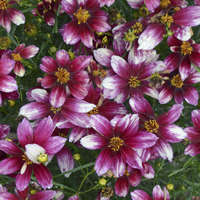 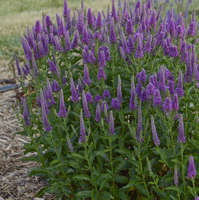 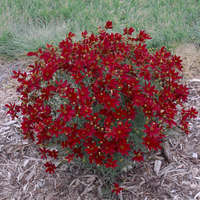 The flowers will cover the gray-green, threadleaf foliage for a showy midsummer display.